Do you also find no better way to clear your mind of worries than healthy trekking? If your answer is YES, Ban Phakeo Trek is the place for you. Begin your on a two-day trek to a remote Hmong village and one of the country’s most stunning site, experience the mountainous adventures of locals, and observe the wartime architecture while on the Ban Phakeo Trek. There are some good restaurants and bars on the trek where you can enjoy some relishing drinks and snacks. Enjoy the nature’s beauty at its best on Ban Phakeo Trek! 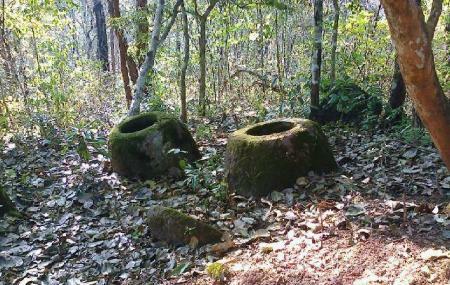 Try the best Ban Vang trip planner to visit this Ban Phakeo Trek as well as many others. If you want to add the visit to Ban Phakeo Trek in your trip, you can choose from the variety of Ban Vang vacation packages that can be designed to suit your preferences. These packages also cover your major concern of how to reach Ban Vang. By rented car or taxi. Love this? Explore the entire list of places to visit in Ban Vang before you plan your trip. Fancy a good night's sleep after a tiring day? Check out where to stay in Ban Vang and book an accommodation of your choice.